Paytm Payments Bank received the green light from the Reserve Bank of India to restart the opening of accounts for its clients. The bank intends to initiate the KYC (Know your customer) procedures for its wallets, as well as its bank accounts as of December 31, a company spokesperson confirmed. The RBI had asked the bank to stop adding new clients around six months in June, when a regulatory audit found failures by the entity to comply with the requirements of the RBI. After the audit, Paytm Payments Bank had removed Renu Satti from the position of chief executive officer and had hired veteran banker and former NPCI senior executive, Satish Gupta, for the corner office of the Noida-based bank. "Paytm Payments Bank has the mission to facilitate the provision of last-mile banking services to each Indian. It also plans to catalyze digital adoption and familiarize more people with the experience of the touch of a button. we believe it will help formalize our economy and achieve the real financial inclusion that is so badly needed, "Gupta said in a written statement to ET. When asked by ET, a spokesperson for Paytm Payments Bank said the RBI did not impose any fines. In addition, he added that the bank currently has around 42 million accounts and has set the goal of obtaining 100 million by the end of 2019. 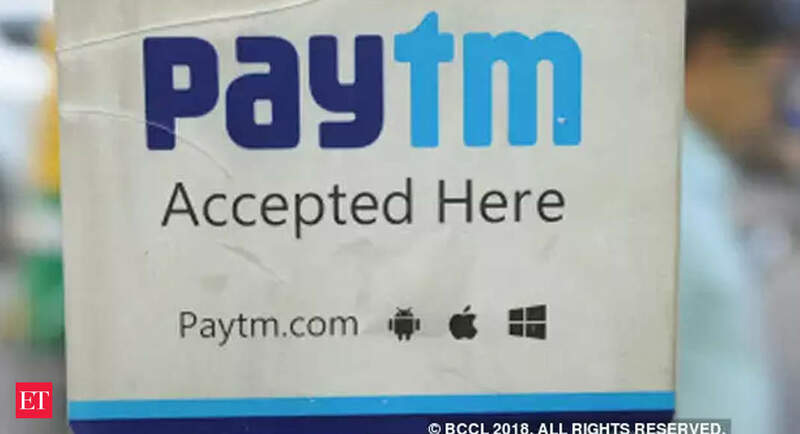 Although the RBI had not published a statement clarifying the reason for its action, the Times of India reported that the regulator was not satisfied with the close relationships that One97 Communications had with Paytm Payments Bank, and had not maintained the net equity limit of Rs 100 crore either. A leading industry observer, speaking with ET on condition of anonymity, noted that the payment banks have not yet had a major impact on the country's overall financial ecosystem. "Paytm has a large part of its clients to use the bank account and the wallet indiscriminately and has also played a fundamental role in promoting financial inclusion," he said. "Now, under the new leadership, they will try again to expand their reach and get more clients." In addition to Paytm Payments Bank, Fino Payments Bank was also prevented from opening new accounts by the RBI mainly because it did not impose a deposit limit of Rs 1lakh on customer accounts with the bank. Fino got the go-ahead in early October. However, the bank was also fined millions of rupees by the regulator. Paytm Payments Bank also reported a net loss of Rs 20 crore against income of Rs 720 crore in FY2018. Of the total revenue, the bank reported Rs 654 crore as revenue from brokerages, commissions and exchanges that include its income from portfolio operations. According to the presentations of last year, the bank had collected a deposit of millions of rupees that included wallet balances.